Darrell and his band Geardrivven practice for their next show. 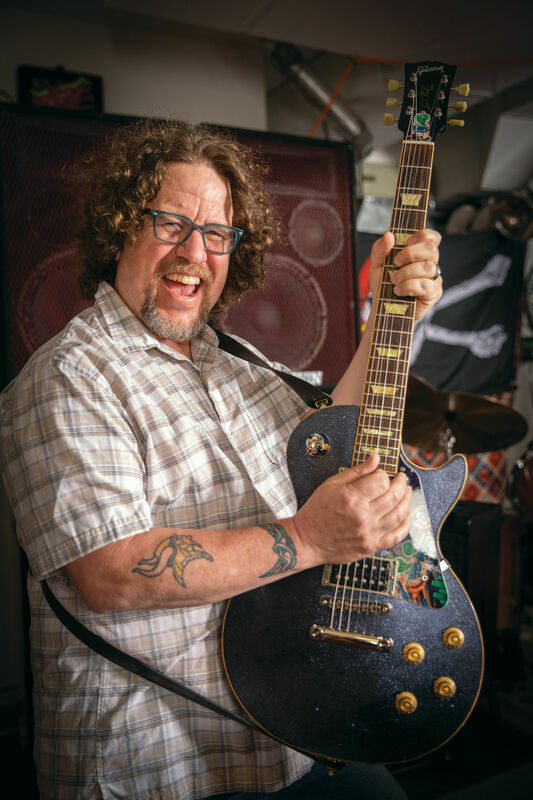 For Darrell Allen, an operating room nurse and avid guitar player, his hands are a critical part of his livelihood – and his passion. So when Carpal Tunnel Syndrome (CTS) threatened his mobility, he knew he had to take action. In 1990, Darrell got his first job in the operating room (OR). Before that, he had been in the Air Force and also worked in plumbing. “I knew immediately that the OR was where I belonged – and I’ve been an OR nurse ever since.” Darrell had been a nurse for nearly 15 years before his CTS developed. In 2000 at age 44, Darrell began noticing pain, tingling and loss of feeling in his left hand. He would have to continually shake his thumb, index, and middle finger to restore sensation. At this point, the pain was not only affecting Darrell’s work, but also his music. A self-taught guitar player, Darrell would often spend 4-6 hours practicing – putting extra strain on his left hand. 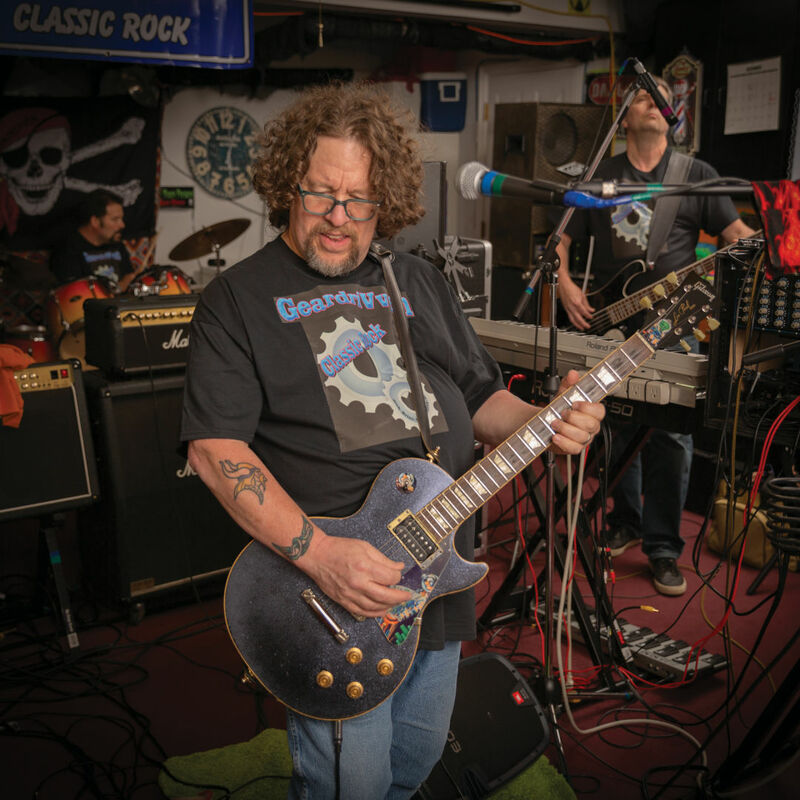 Once Darrell realized the “insidious” pain was affecting both his performance at work and in his band, he became motivated to seek medical treatment. He met with Dr. Clifford Canepa, a plastic surgeon at The Oregon Clinic. When a nerve conduction study showed significant carpal tunnel on his left hand, Darrell chose to operate. If left untreated, there was potential to permanently lose function in his left hand. CTS surgery involves cutting the ligament above the carpal tunnel to take pressure off the median nerve, which extends along the middle of the arm and forearm to the hand. After a 10-15 minute surgery under light sedation, Darrell went home. Now carpal tunnel free, Darrell is ready to rock. The results that night were “absolutely miraculous.” Darrell slept through the night for the first time in months. The pain relief was instantaneous – and he has been symptom-free for almost two decades. Not much about the procedure has changed since then. CTS surgery is performed in the operating room, usually with local anesthesia and sedation. A small incision is used to release the ligament and relieve pressure on the nerve. After a few weeks of recovery and rebuilding muscle strength, Darrell had his full grip and range of motion back. He was successfully fulfilling his nursing duties – and also playing guitar.